Dr. David Silbersweig is a neurologist and psychiatrist, and serves as the Chairman of the Department of Psychiatry at the Brigham and Women’s Hospital, and Co-Director of the Brigham and Women’s Hospital Institute for the Neurosciences. He is the Harvard Medical School Dean for Academic Programs at Partners HealthCare and the Stanley Cobb Professor of Psychiatry at Harvard Medical School. 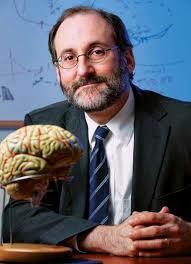 Dr. Silbersweig is one of the pioneers of functional neuroimaging research in psychiatry. He and his colleagues focus upon the development and application of new neuroimaging techniques to localize and characterize brain circuitry dysfunction underlying major psychiatric disorders. Studies combining neuroimaging with therapeutic, fluid biomarker, and genetic studies, to test mechanistic hypotheses, are underway. The aim of Dr. Silbersweig’s systems-level neuropathophysiology work is to help provide a foundation for the development of novel, targeted, biologically based diagnostic and therapeutic strategies to aid those suffering with mental illness. Dr. Silbersweig has significant involvement in national/international research consortia. He is a Fellow of the American Neuropsychiatric Association, and has played a notable role in shaping the rapidly developing field of neuropsychiatry through his translational research, his innovative educational activities, his invited presentations in the United States and abroad, and his work with scientific journals, NIH, conferences and organizations. Robert Boland is the Director of the BWH/Harvard Psychiatry Residency Program. He is a national leader in psychiatric education. He is the past President of the American Association of Directors of Psychiatric Residency Training and the Association of Academic Psychiatry and is the current President of the Academy of Psychosomatic Medicine. He is Vice Chair of the Psychiatry Residency Review Committee (RRC) of the ACGME. 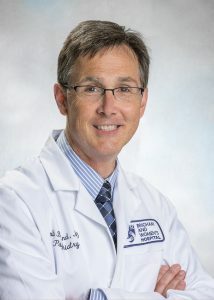 Dr. Boland joined the Brigham in 2014. He remains the Co-Director of the Harvard Longwood Psychiatry Residency Training Program for its duration, and was previously Associate Director of Residency Training at Brown. Dr. Boland graduated from Georgetown University and Georgetown School of Medicine, completed a residency at the Institute of Living in Hartford and a fellowship in Psychosomatic Medicine at Georgetown/Fairfax Hospital. Dr. Boland has many scientific publications, is currently on the editorial board for several journals including Academic Psychiatry, Psychosomatics, and FOCUS (the APA’s journal of continuing education) and is Assistant Editor for the American College of Psychiatry’s Psychiatry Residents in Training Examination (PRITE). In addition, he has served on various NIH study sections (grant review committees) for the last decade, and has chaired a number of special emphasis panels for NIH. Hermioni Lokko is the Associate Training Director of the Brigham and Women’s Hospital/Harvard Medical School Psychiatry Residency Training Program. She is also a staff physician on the Medical Psychiatry Service at Brigham and Women’s Hospital (BWH) and the Department of Psychosocial Oncology and Palliative Care at the Dana-Farber Cancer Institute (DFCI). Dr. Lokko received her medical degree from Harvard Medical School while she also obtained a Masters in Public Policy from the Harvard Kennedy School of Government. She completed her residency training at the Massachusetts General Hospital and McLean Hospital where she served as Administrative Chief Resident. 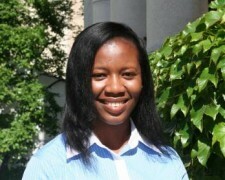 She is also a graduate of the psychosomatic medicine/psycho-oncology fellowship at BWH/DFCI. She is interested in the impact of psychiatric illness, management strategies and palliative care in diverse cancer patients to develop innovative and practical psychological interventions for cancer patients and their care givers. She is currently the principal investigator for a Harvard Medical School funded project for hematopoietic stem cell transplant patients. 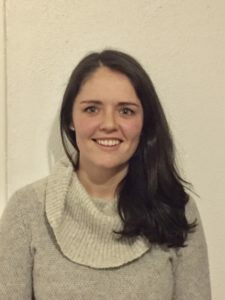 Her passion for education has inspired her to engage in several scholarly projects in medical education and to pursue a wide variety of teaching endeavors and mentorship for college and medical students, residents and physician assistants. Michelle Laflam is the Education Program Manager for the Brigham and Women’s Hospital (BWH) Department of Psychiatry where she supports the department’s educational efforts with the Psychiatry Residency Training Program, the Psychosomatic Medicine Fellowship, and the medical student clerkship programs. Michelle brings prior experience working at the Dana-Farber Cancer Institute’s Department of Psychosocial Oncology and Palliative Care. She especially enjoys supporting our residents and is committed to seeing our trainees succeed in their educational and career endeavors. Michelle is a graduate of Stonehill College in Eastern, MA where she received a Bachelor of Arts degree in Sociology.